The ejector philosophy of creating vacuum is essentially based on the fundamentals of a non moving parts system. Vacuum technologists developed a more sophisticated way of creating vacuum by means of electro-mechanical rotating equipment generalized as ‘Vacuum Pumps’. A Liquid Ring Vacuum Pump has impellers with blades attached to a center hub located in a cylindrical body but offset from the center. Ours is the optimum solution for rough and complex vacuum applications. 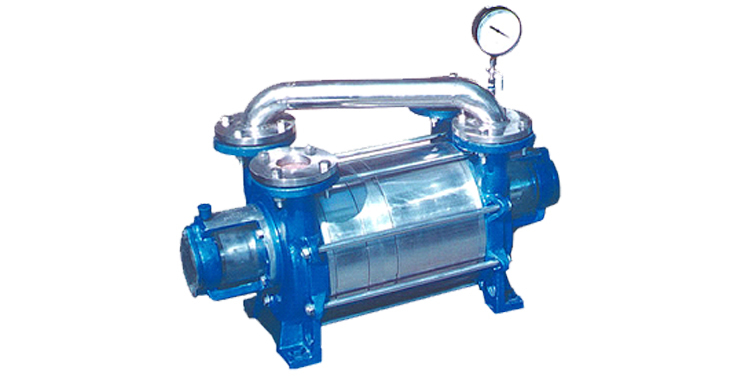 These simple to operate pumps are perfect for processes that require vacuum upto 720 mmHg. 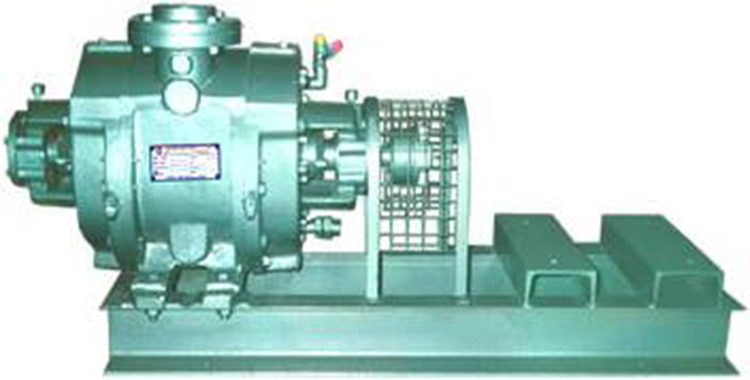 Designed for long-term operation, these pumps are ideal for pharmaceutical, fertilizer, paper, textile, and printing industries. The pump requires a liquid (also called the sealant) to create vacuum. Prior to starting the pump, it should be partially filled with the liquid sealant (typically to the center of the body, although this can be plus or minus a couple of inches). The liquid can be water (making it a water ring pump), oil or a solvent, depending upon the application. When the pump is at rest, some of the impeller blades are immersed in the sealant liquid. When the pump starts, the impeller slings the liquid sealant by centrifugal force, forming a ring of liquid at the outside walls of the body. Because the impeller is off-set from the body, some of the blades are fully immersed in liquid, and some are almost out of the liquid. The area of void space without liquid, is sealed off between the liquid (and hence the term “sealant”) and between the impeller blades, called an “impeller cell”. As we follow one impeller cell from the top of the pump, counter-clockwise, you can see the liquid recedes from the center hub, acting as a liquid piston to create a larger cell. This is the suction of the pump, drawing in air, gases, or vapors through the “inlet port” at the sides of the impeller. After impeller cell passes the inlet port and travels toward the discharge port, the sealant liquid is forced back toward the center hub of the impeller, creating the compression step. 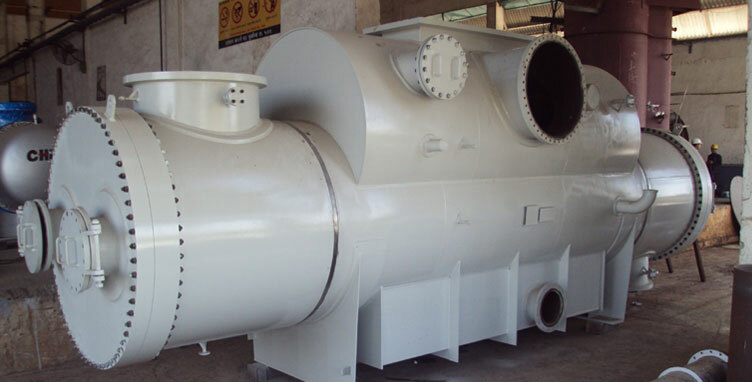 As the impeller cell passes the discharge port, the compression is at its highest, and the gases, along with some of the liquid sealant are exhausted through the discharge port to atmosphere. Although the diagrams show a very smooth ring of liquid, in actuality, the liquid sealant is highly turbulent, which is why some of the liquid sealant is discharged with the gases.